How does play affect the cognitive development of children around the world? Doctoral candidate Lynneth Solis is looking to find out. Play is an integral part of a child’s development according to traditional research mostly conducted in Western societies, but what role does play serve and what does it look like for children in indigenous communities? Ed.D. candidate Lynneth Solis, Ed.M.’10, is determined to better answer that question. Solis’ research focuses on children’s cognitive development, specifically how young children play with each other and with objects to understand and build theories about the world around them, and how this is shaped by their cultural context. 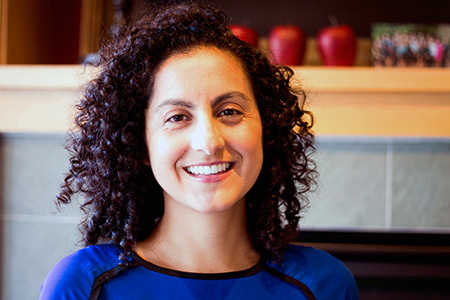 After completing her master's in the Mind, Brain, and Education Program in 2010, Solis spent the following year as a research assistant with Project Zero working alongside Principal Research Scientist in Education Tina Grotzer, looking at children’s understanding of complex causal patterns in science. It was through her work at PZ that Solis expanded her own research into children’s cognitive development and how they use objects to understand complex scientific phenomena such as friction, balance, and other physical concepts. This in turn led her to include looking at play in crosscultural settings. In 2015, Solis — the recipient of a Frederick Sheldon Traveling Fellowship through the Committee on General Scholarships at Harvard — spent a year working with and observing children in the Sierra Nevada de Santa Marta in Colombia. 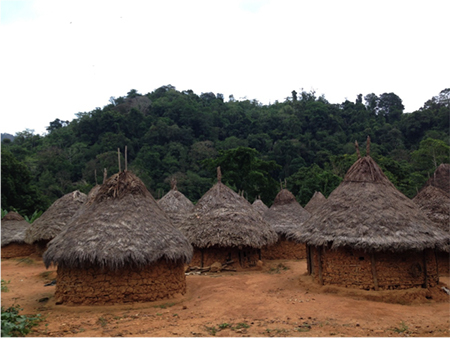 (The Kogi settlement in which she worked is pictured below.) What she found, contrary to prior research, was that indigenous children were engaged in complex forms of play that hadn’t been documented before. After interviewing parents, Solis discovered even more variation from the narrative older research told. While some parents felt play was not part of their culture, others believed play helped prepare children for the future inside and outside their community. Grotzer says that Solis’ important ethnographic work is helping the field of children’s cognitive development better understand the diversity of play and its role in cultures outside the West, and understanding what parents and community members believe about play is crucial for designing educational interventions. Solis has also been working closely with the Lego Foundation, in partnership with the Center on the Developing Child at Harvard University, to better understand the science of play to support learning, which she says is an important next step for the field. Solis’ work has not gone unrecognized. During her time at HGSE as a master's candidate she was named an Intellectual Contribution Award winner, and last year she was a Julius B. Richmond fellow at the Center on the Developing Child and AERA Minority Dissertation Fellow. While she is set to graduate next year, Solis plans on continuing her research to expand understanding of child development. UPDATE: In February 2019, Lynneth Solis was selected for AERA Dissertation Award in Early Education/Child Development for her dissertation, Sociocultural Context of Play: Experiences of Indigenous Children in the Sierra Nevada de Santa Marta, Colombia.